Today's feast, which celebrated the Queenship of Mary, was established by Pope Pius XII in 1954. It recognizes Mary as the Queen of Heaven and Earth. 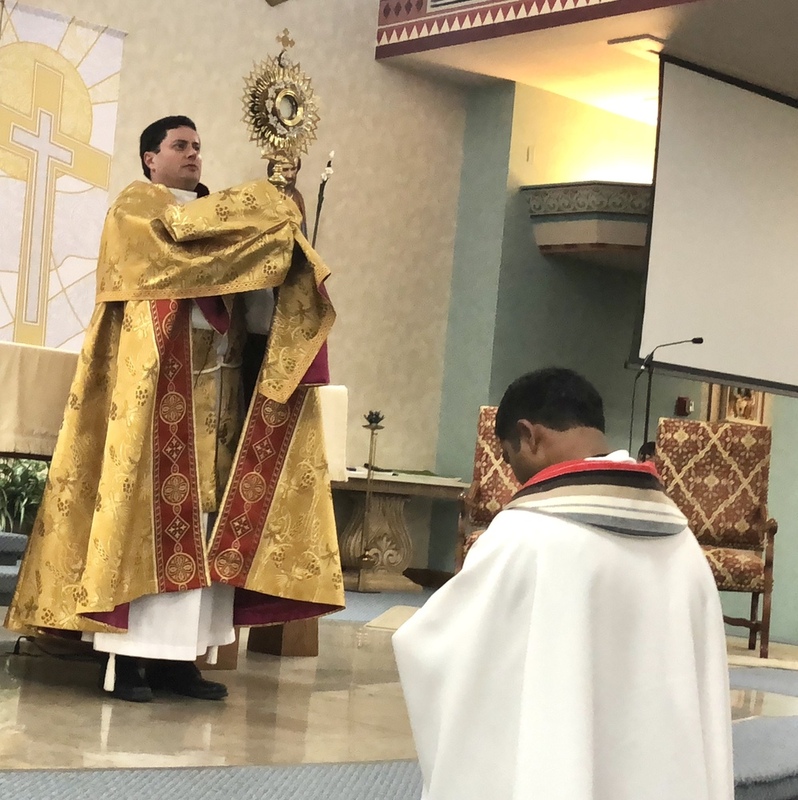 Father Tony is seen here with Father Chandra during the Rite of Benediction which followed the exposition of the Blessed Sacrament.